An apprenticeship at one of Sydney’s best seafood restaurants has fuelled Wilhelm Gabut’s dream to become an executive chef. 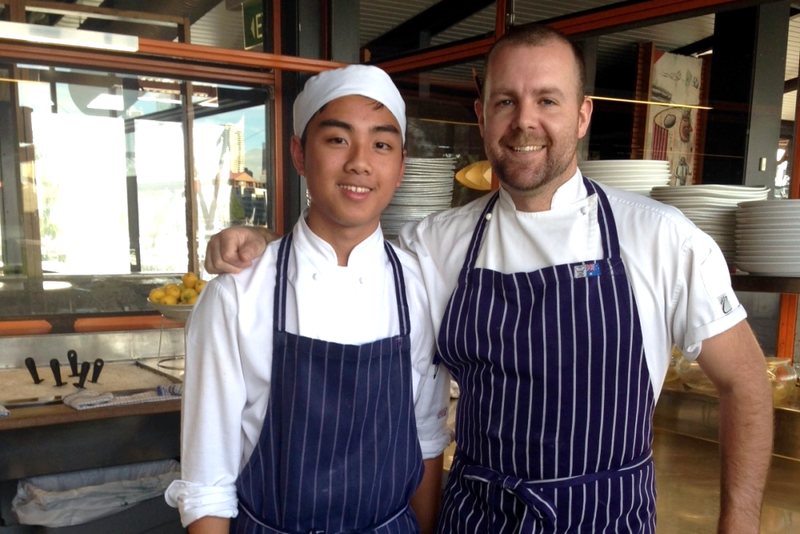 The Year 12 student at LaSalle Catholic College Bankstown’s Saint Yon Trade Training Centre has worked at Boathouse on Blackwattle Bay, Glebe for the past year, shucking oysters and plating meals on Friday nights and Sundays. These are the restaurant’s busiest times.